Perseverance Theatre will present The Winter Bear, a play by former Alaska Writer Laureate Anne Hanley, in April in the communities of Anchorage, Buckland, Shungnak, Nome, St. Paul, and Unalaska. Admission to all shows is free. The show is directed by Perseverance Theatre Artistic Director Art Rotch. The performing company will feature the return of Alaska Native actors Brían Wescott as Sidney Huntington and Skyler Ray-Benson Davis as Duane. In all, twelve company members will embark on the two-week tour. 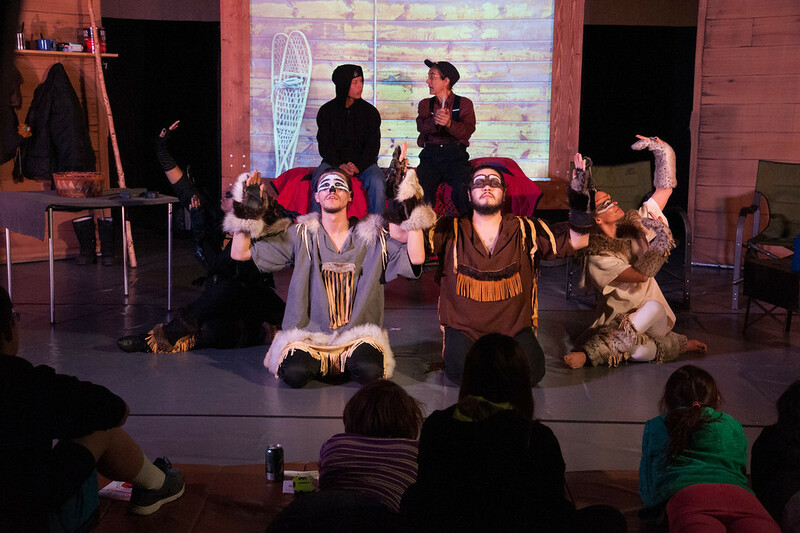 Major funding for The Winter Bear Project 2019 is provided by Southcentral Foundation, Teck, the Aleutian Pribilof Island Association, Sitnasuak Native Corporation, the Charlotte Martin Foundation, Maniilaq, Kawerak, NANA, and the Rasmuson Foundation through the Harper Arts Touring Fund as administered by the Alaska State Council on the Arts. Additional funding from the Bering Sea Lions Club, Norton Sound Health Corporation, the Nome Arts Council, the Aleut Native Corporation, and the King Island Native Corporation. Communities are providing valuable support in the form of lodging, show venues, and local services. For more information about The Winter Bear Project, visit our website, or follow us on Facebook at The Winter Bear Project.